M.C. Paulk, Software Process Appraisal and Improvement: Models and Standards. J. Kontio, A Software Process Engineering Framework. P. Simmons, Gaining Business Value from IT Investments. J. Tian, Reliability Measurement, Analysis, and Improvement for Large Software Systems. R.S. Sandhu, Role-Based Access Control. K.M. Kavi, B. Lee, and A.R. Hurson, Multithreaded Systems. G.A. Papadopoulos and F. Arbab, Coordination Models and Languages. E.N. Houstis, J.R. Rice, N. Ramakrishnan, T. Drashansky, S. Weerawarana, A. Joshi, and C.E. Houstis, Multidisciplinary Problem Solving Environments for Computational Science. Author Index. Subject Index. 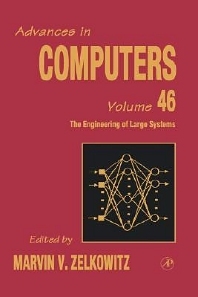 Since its first volume in 1960, Advances in Computers has presented detailed coverage of innovations in hardware and software and in computer theory, design, and applications. It has also provided contributors with a medium in which they can examine their subjects in greater depth and breadth than that allowed by standard journal articles. As a result, many articles have become standard references that continue to be of significant, lasting value despite the rapid growth taking place in the field. This volume is organized around engineering large scale software systems. It discusses which technologies are useful for building these systems, which are useful to incorporate in these systems, and which are useful to evaluate these systems.